We have some cool classic driver’s cars. 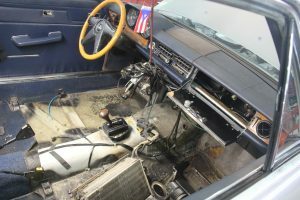 These MG’s and this Mercedes 280C you probably wont get the rave on Barret-Jackson showroom floor, but they are becoming rare birds now to find in rust-free bodies, but still running great and a look into how cars used to be. 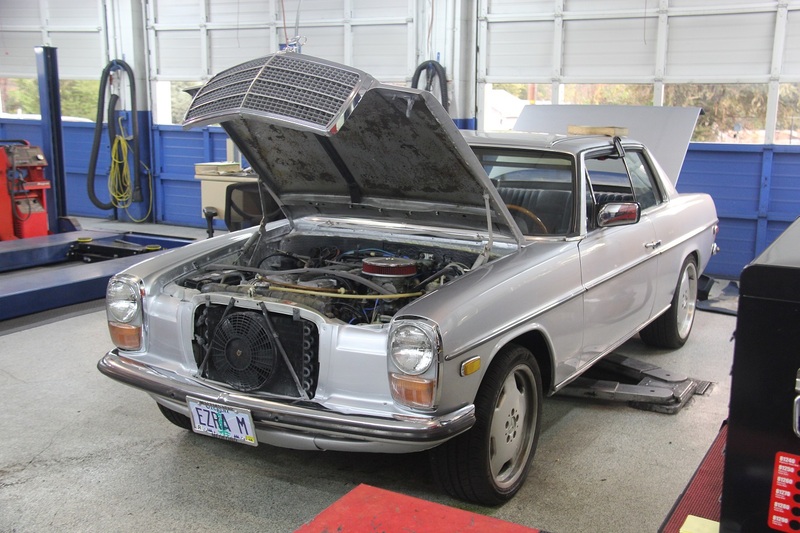 A time where most owners had to be able to check their own fluids and have an extra wrench or two in the trunk for on the road repairs or adjustments! 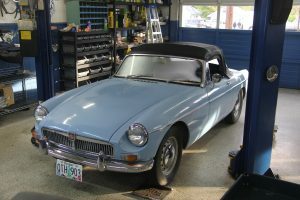 This 1964 MGB came in for complete carburetor rebuild and fuel system work. Now it is running great and will be a fun car to drive for years ahead. This 1974 Mercedes 280C came in for heater core and climate control work. A good call considering winter is on the way!